Incineration is a type of Thermal Treatment used for the waste treatment process. Incineration is a process that involves combustion of organic substance that is present waste material. Through incineration process, the waste converts into particles, gasses, and heat. Incineration process facilitates the recovery of energy by combustion of waste. Incineration method is a preferred method of the Autoclaving and Chemical treatment. On the basis of geography, the market is segmented by North America, Europe, Asia-Pacific, and RoW. 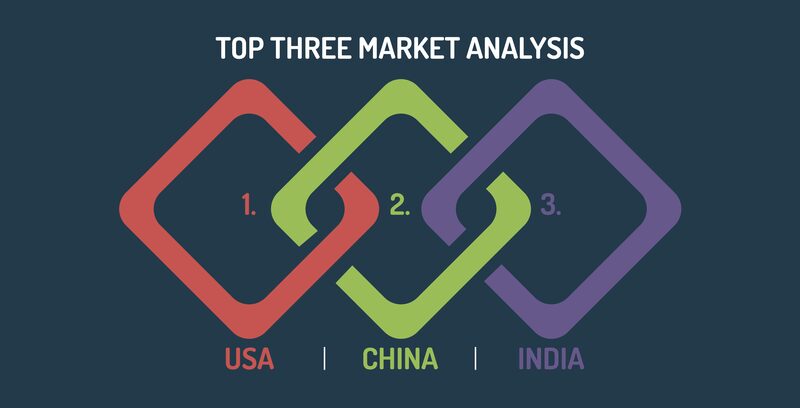 North America dominates the market due to technological advancement and increasing hazardous waste, followed by Europe, Asia-Pacific, and Row. Asia pacific is the largest growing market due to a rapid increase in industrialization. A landfill is basically a depression in the ground (or built on top of the ground, resembling a football stadium) into which hazardous wastes are put. The landfill is designed to avoid any connection of hazardous waste from the surrounding and the ground water. Liquid waste is also disposed of by injecting them into impervious rocks in order to keep them isolated from ground water and surrounding. Around 60% of the liquid waste was reported to be disposed of in the U.S. through the method of deep-well-injection. Reuse is considered to be the most preferred way of prevention. The hazardous waste generated is treated to ensure that it is reused in the same form or in the other, and could be used for various purposes. Recovery is the method of conversion of a part of the hazardous waste into energy or other such useful things. The method is actively being used to generate heat, electricity and other forms of energy from hazardous wastes. The waste-to-energy technique has witnessed rapid adoption in China since past few years. The market in the US is mainly driven by the growth of pharmaceutical industry. The North America is anticipated to be the largest sophisticated provider of healthcare facilities which is positively contributing towards the growth of hazardous waste management industry due to increasing its desirable government initiatives for the disposal of medical wastes etc. The Hazardous waste material management market in the US is estimated to be $ 10741 Million with a CAGR of 6.7% (2015-2022). The hazardous waste management in China, in Asia Pacific, is driven by the electronic waste, China being the biggest electronic market in the world. As compared to levels in 2002 Chinese goods and services market improved an alarming 117 percent from then amounting 7.15 million dollars in 2012. This has resulted in the increase in the generation of waste including solid waste, municipal waste, hazardous and non-hazardous waste. The Market is estimated to reach $ 1,404.3 Million in 2022, with a CAGR of 7.9% (2015-2022). The next biggest market is the developing nation of India, again from the Asia Pacific region. The Indian market is estimated to reach $ 462.2, Million, although a less amount, with a CAGR of 7.8% (2015-2022). The growth is attributed to a surge in medical tourism in the last decade, forcing a need to find better ways to dispose of hazardous medical waste in the country. Denmark is characterized by a high degree of incineration, amounting to 54% in 2010 (municipal solid waste, i.e. both household waste and industrial waste), which is the highest percentage and the highest amount of waste per capita in the EU. In Sweden, 50 percent of the household waste that is burnt to produce energy at incineration plants. Sweden even imports 700,000 tons of waste from other countries. In 2014, a total of 1.4 million tons of hazardous waste was handled according to approved treatment in Norway. 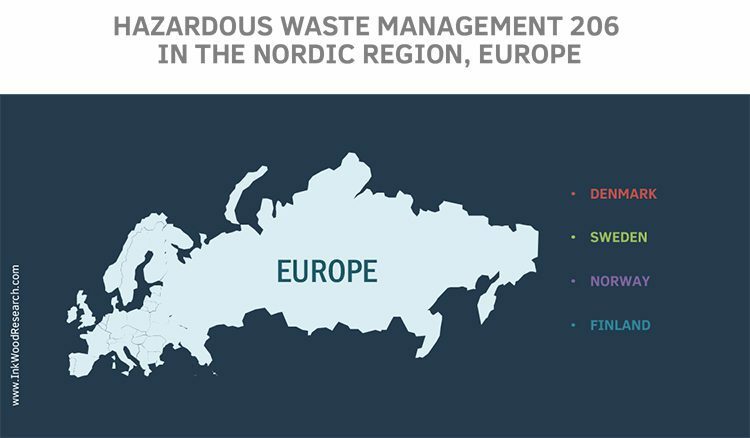 According to the permission and supervision registers of environmental authorities, 1.9 million tons of hazardous waste was generated in Finland in 2014. In Finland, Hazardous waste is collected by mobile collection (trucks) in many municipalities. Hazardous waste is transported as special transport (VAK) to the treatment facilities. India and China are the top two leading irrigation countries in the world. India is having around 2 million hectares of irrigated only under the micro irrigation system. In India, the irrigation is mostly done on groundwater well basis which accounts to 39 million hectors with 67% 0of total irrigation. India is the leader in the world with the largest groundwater well-equipped irrigation system. The china and India signify to 37% and 34% of the total arable land. However, in India, 2% of arable land is penetrated by drip irrigation whereas China accounts for 0.6%. Digital Marketing Executive at Inkwood Research.